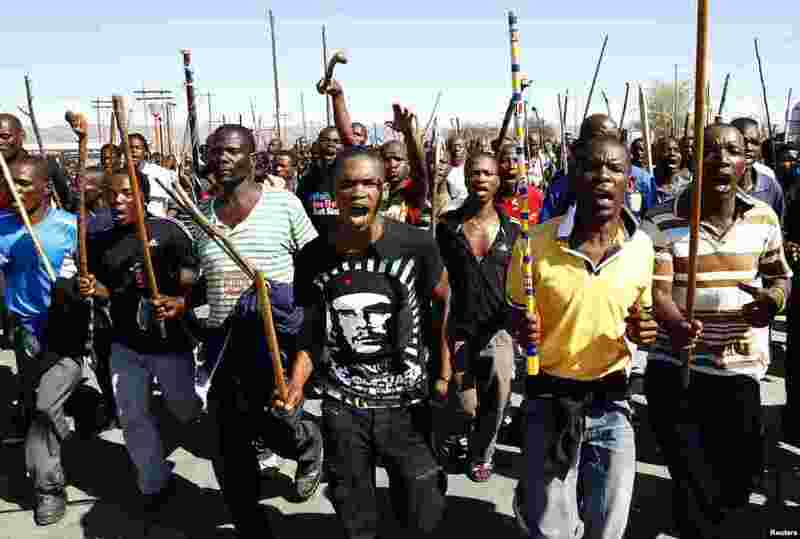 Thousands of workers are striking for a fifth week at a South African platinum mine. 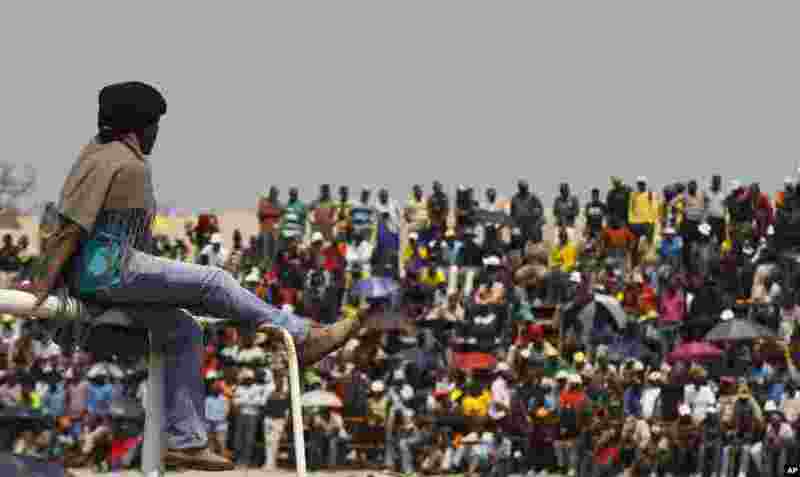 1 Striking workers at the Blesbok Stadium near Rustenburg,South Africa, September 13, 2012. 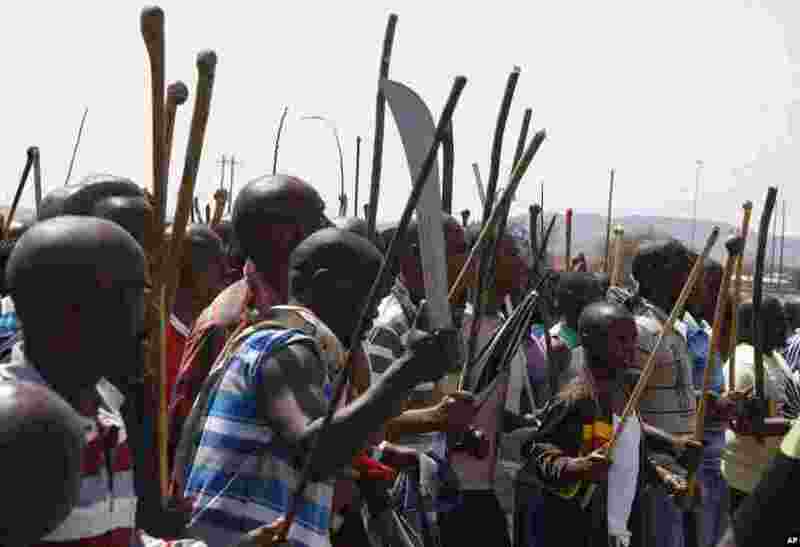 2 Striking mine workers armed with machetes, sticks, and spears march to a smelter plant at the Lonmin Platinum Mine near Rustenburg, South Africa, September, 12, 2012. 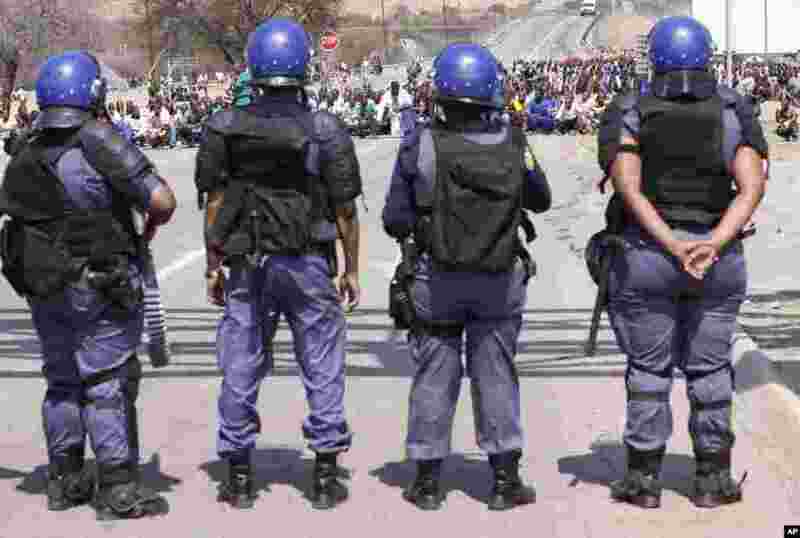 3 Police keep an eye on striking mine workers as they march to a smelter plant at the Lonmin Platinum Mine near Rustenburg, South Africa, September, 12, 2012. 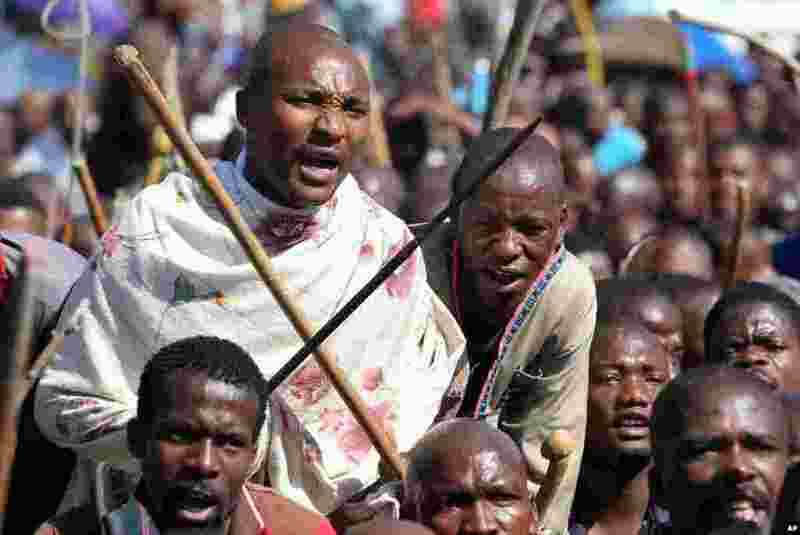 4 Mine workers take part in a march at Lonmin's Marikana mine in South Africa, September 10, 2012. 5 Miners sing during their march to Lonmin Platinum Mine near Rustenburg, South Africa, September 10, 2012. 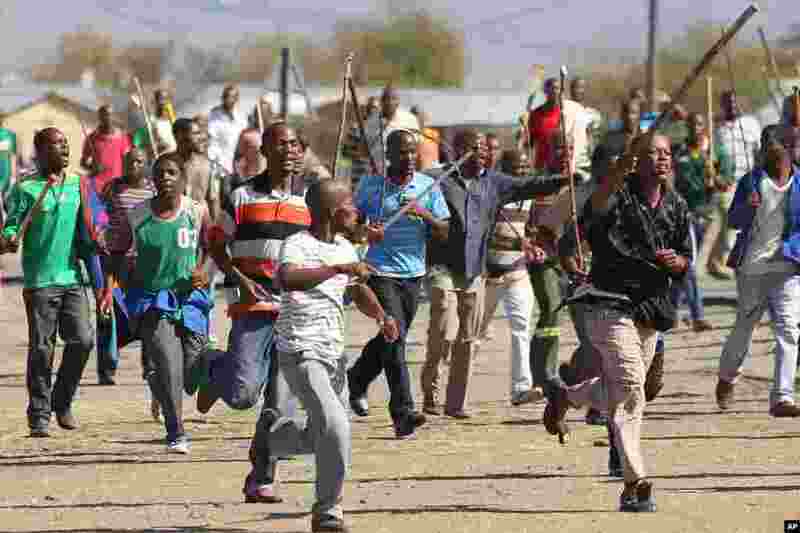 6 Miners march to Lonmin Platinum Mine near Rustenburg, South Africa, September 10, 2012. 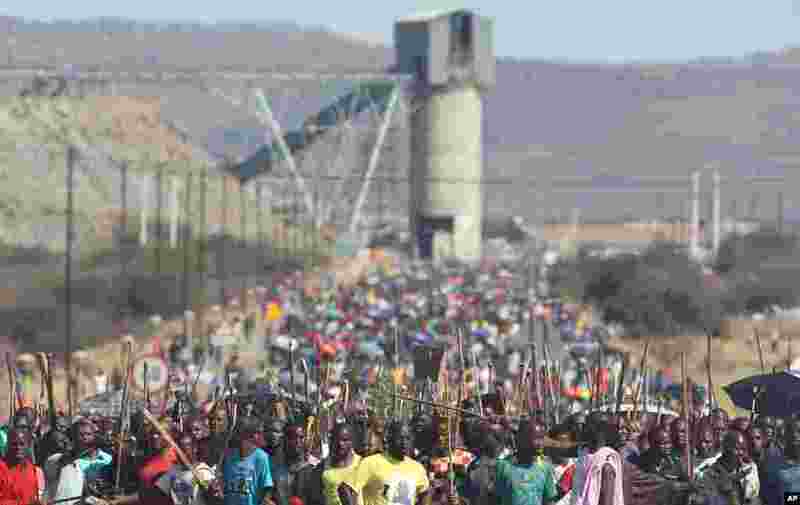 7 Miners sing and dance as they march to Lonmin Platinum Mine near Rustenburg, South Africa, September. 10, 2012. 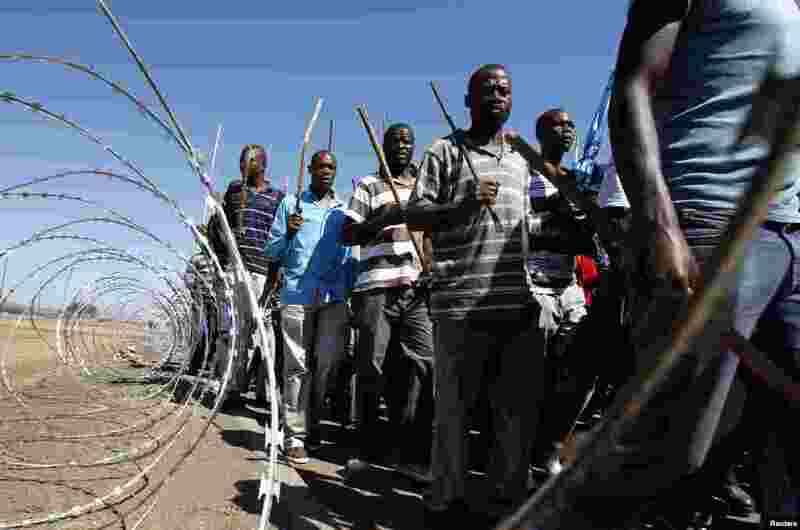 8 Miners march to Lonmin Platinum Mine near Rustenburg, South Africa, September 10, 2012. 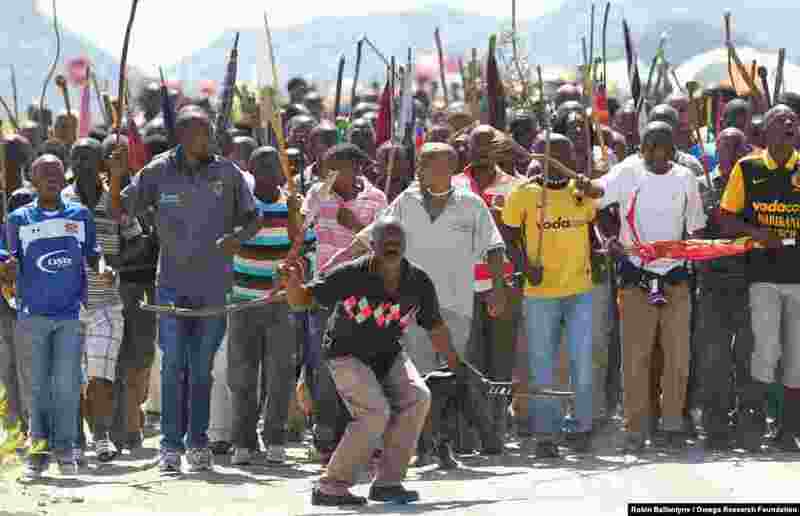 9 Mine workers take part in a march at Lonmin mine in South Africa, September 10, 2012.